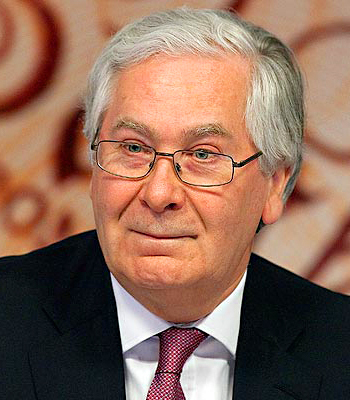 Today we’re going to take a look at the new book by the former Governor of the Bank of England, Mervyn King. It’s called The End of Alchemy, and it’s about the lessons of the 2008 financial crisis. King sees the 2008 financial crisis as merely the latest in a long series of crises. He notes that most books about the 2008 crisis have the invisible subtitle: “how I saved the world”. King is not convinced that the world has been saved. The crisis was not just the result of failures by individuals or institutions, but of the ideas behind banking and economic policy. King also notes a lack of international leadership, with G20 politicians focused on their home constituencies and domestic politics rather than facing up to global challenges. And the large financial institutions have an influence on the politicians, particularly where the politicians rely on financial institutions for funding. He thinks that governments and central banks did the right thing in cutting interest rates, boosting employment and increasing spending, because in the short run that prevented a re-run of the great depression of the 1930s, with mass unemployment. 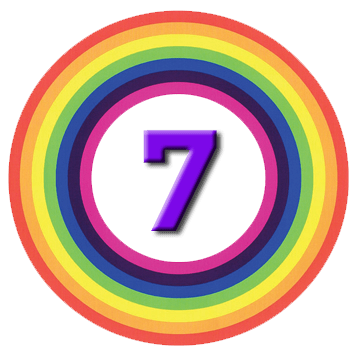 King believes that it’s virtually certain that we’re heading for another crash though it may be 10 or 20 years before it happens. So the banking system is still prone to runs. And now countries are competing with each other to push down their exchange rates and stimulate growth. Where there used to be cooperation over trade, now there is competition. The euro zone has big problems, and China is not growing as quickly as it claims. King is very critical of the Euro zone. He thinks that Germany should leave, but will instead go for deeper and deeper integration to try to make it work. King thinks that national sovereignty is important and that people should have some control over their destinies. Ironically the motives behind the EU were the opposite of what is now happening. The Germans wanted to bind Germany into Europe so the rest of Europe would never again be frightened of Germany. And it’s not the opposite – Italy and Greece are as angry with Germany as they have ever been. The “economic arithmetic” is now up against the political will of an elite that created the EU and the Euro and daren’t now admit its mistakes. The danger is not that the Euro breaks apart but that it continues, “bringing economic stagnation to the largest currency bloc in the world and holding back the recovery of the wider world economy”. The euro area is the UK’s biggest trading partner, and we will be affected, Brexit or no Brexit. Economists’ models are based around the idea of the rational individual working to maximise their “utility” (well-being, or even simply wealth). The idea is that people can attach probabilities to future events and their potential impact on their own utility. Against this backdrop of expectations, people then act. So the models don’t work. During the period of stability that preceded the 2008 crisis, growth looked normal but was actually imbalanced. Countries like Germany and China built up huge trade surpluses that translated into a “savings glut” while other rich countries like the US and the UK built up large debts to fund their consumption from the exporters. The problem for King was that households, businesses and investors assumed future stability even as these instabilities were being created. As global interest rates fell in response to all that Asian and German saving, banks created complex and risky instruments to satisfy the thirst for income. These were mostly based on mortgage debts, and bank balance sheets grew rapidly in proportion to their capital. Even if a bank CEO had known this would end in disaster, it wasn’t in his interest to be the first to ignore these easy profits. It’s another case of “while the music’s playing, you have to keep dancing”. King sees today’s low-interest rates as too high to support quick growth in demand (in the short-term) but also too low in the long-term to produce a proper balance between spending and saving. They also lead to the misallocation of capital to unproductive investments. But central banks are afraid to raise interest rates in case they stifle the slow ongoing economic recovery. King gives a history of money – through barter, commodities and gold coins to paper notes and bank liabilities. He wants to make sure that banks can always repay their (short-term = < 1 yr) depositors, with the help of the central bank. King likens banks to motorists, who must take out insurance before they are allowed onto the road. If you want to drive a bigger, faster (more dangerous) car, your insurance will cost more. So there’s no need to ban people from driving certain cars. In the same way, banks that want to undertake what has been called “casino banking” would need more insurance. There’s no need to split mortgage banks and investment banks apart. King argues that Bagehot’s rule is out of date. Bank balance sheets are much larger and contain fewer liquid assets. So central banks must accept “bad” (risky / illiquid) collateral, and can only lend against a proportion of its value (after applying a “haircut”). 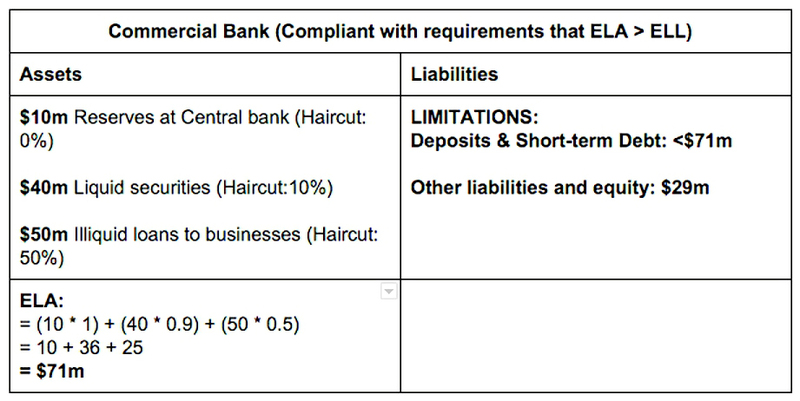 Here the ELA is the Effective Liquid Assets of the bank after the haircuts have been applied. The ELL is the bank’s Effective Liquid Liabilities. ELA must be greater than ELL. This is the “motoring insurance” system – in a crisis, the central bank can lend back to the bank on terms already agreed, with the “penalty rate” replaced by the haircut. The new system would have to be phased in gradually, with the current shortfall of assets against deposits eliminated over 10 to 20 years. It would also need to apply to all financial firms, not just “banks”. The first step would be for each bank to work out how far away they are from meeting the ELA > ELL rule. The bank would be given a number of years to steadily reduce the Alchemy down from 14% to zero. The 2008 crisis was not just the result of failures by individuals or institutions, but of the ideas behind banking and economic policy. The policies adopted in the aftermath of the crisis were appropriate in the short-term, but the fundamental problems haven’t been fixed. The Euro is a mistake, and should be dissolved. The Great Moderation produced terrible imbalances between exporting saver countries (Germany and China) and importing debtor countries (the US, UK and others). Real interest rates are too low but can’t be raised without killing economic recovery and hitting asset prices. The alchemy of finance is that paper money can be converted to gold, and bank deposits can be repaid on demand. King focuses on making sure that banks can repay their deposits using an insurance system based on collateral of varying quality lodged with the central bank and subject to haircuts. This would be implemented over a decade or more, in step with an agreed timetable for rebalancing economies and a return to normal real interest rates. Many commentators have described King’s proposals as radical but to me the core idea – of the central bank as a pawnbroker and an insurance system based on collateral subject to haircuts – seems entirely sensible and moderate. The bigger issue is that the reaction to 2008 (QE and low interest rates) has left us in a situation from which there is no clear way out. While there is no guarantee that phasing in King’s solution would have the desired effect, something needs to be done and this seems as good an option as any I have heard. Whether the politicians have the foresight and leadership to coordinate a global solution is another thing entirely. The response to the Euro zone crisis suggests we should not be too optimistic.